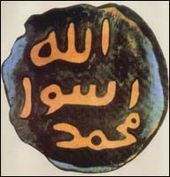 Prophet Muhammad (P.B.U.H.) was born on the twelfth 9th of Rabiul Awwal 53 B.H. (570 A.D of the Christian era) in a noble family of Banu Hashim ancestry.In some books this date is 12 or 11 rabiul Awwal.He was born an orphan. His father, Abdullah bin Abdul Muttalib, died of sickness at the age of 25 on a trading journey to Syria..
His grandfather, Abdul Muttalib, who was the chief of Makkah at that time, showed pride in him as Muhammad (P.B.U.H.) compensated him for the loss of his son who died in the prime of his youth. His mother showed affection for her son as she anticipated the best nurses to come and take care of him. The tradition at that time was that nurses would come from the desert seeking to be the custodians of the children of nobility in return for good pay . Giving that Muhammad (P.B.U.H.) was not wealthy all nurses turned away from him, Halimah of the Banu Saad tribe was one of them, but when she could not find any other child she was embarrassed to return home empty-handed, so she went back and took Muhammad (P.B.U.H), and since then Allah showered his kindness on her; for instance animals started giving plenty of milk after they had been dry. Therefore, she and her husband felt they were blessed to have taken Muhammad (P.B.U.H.) and became very attached to him. Muhammad (P.B.U.H.) spent five years with Banu Saad during which nothing out of the ordinary happened except one told incident which scared Halimah and became known as “the splitting of his chest.” When he was playing with the other boys Jibril held him, threw him down, split his chest, took out his heart and took out a clump from it and said: “this is Satins portion of you.” Then he washed him in a basin made of gold with the water of Zam Zam, then sealed his chest and returned him where he was. (Anas, Muslim and Ahmed) The boys ran to Halimah and said Muhammad (P.B.U.H.) has been killed. They came back and found him alive but pale. Muhammad (P.B.U.H.) returned to Makkah at the age of five to his mother and grandfather who took good care of him, but the days refused to allow him tranquility among those tender hearts, as his mother died during a visit to Madinah to visit her husband’s grave. She took Muhammad (P.B.U.H.) and his maid Umm Aiman with her. On the way back, she fell very sick and died in Abwaa leaving Muhammad (P.B.U.H.) with Umm Aiman. Muhammad (P.B.U.H.) then returned to Makkah and resumed his life, working as a shepherd in his early life. He did not obtain knowledge or proper studies. He combined the good qualities of discipline with spiritual purity, rightness and contentment. In this manner, he entered his third phase of life and got acquainted with his first wife Khadijah (May Allah be pleased with her) who was a merchant woman of nobility and wealth. She had heard of his truthfulness and trustworthiness, so she offered him to take her trade to Syria before marrying him. He was 25 years old and she was 40 years old when they got married. Their marriage lasted until she died at the age of 65. 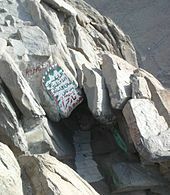 Every year, Muhammad (P.B.U.H) used to leave Makkah to spend Ramadan in the cave of Hira where he used to meditate and worship for self-purification away from the falsehood of Jahilia. In this cave, He met with the heavenly host and listened to the voice of the angel telling him to read. He knew that he had become a Prophet of Allah and that it was Jibril, the ambassador of revelation who came to him; then the mission’s struggle began. Quraish spared a lot of efforts to fight Islam and persecuted those who embraced it. The Prophet (P.B.U.H) and his companions were abused, ridiculed, humiliated, accused of indulging in magic, and subjugated believers were tortured until they disbelieved or died..
After ten years of suffering for the mission of Islam, Muhammad (P.B.U.H) suffered the loss of his wife Khadijah and his uncle Abu Talib, in other words, he had lost his public life, as his uncle defended him and protected him from any calamity, and his private life, as Khadijah loved, supported and shared with him the miseries and pains of the Dawah. way of life and accept what he did in his daily activities. When visiting people, he used to ask permission to enter saying “Peace be upon you, may I enter.” (Abu Dawud) and when his guests were leaving he used to go with them to the door of the house.